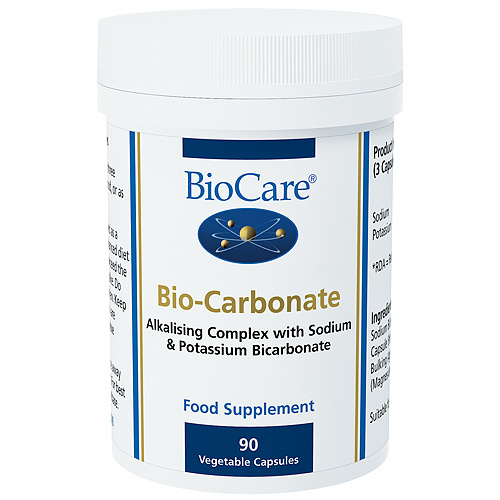 Bio-Carbonate combines Sodium Bicarbonate and Potassium Bicarbonate for digestive support. Carbonates assist the small intestine in maintaining an alkaline pH. Carbonates may help improve tolerance to foods by improving digestive enzyme hydrolysis of proteins, fats and carbohydrates. Sodium Bicarbonate, Potassium Bicarbonate, Capsule Shell (hypromellose), Bulking Agent (Cellulose), Anti-caking Agent (Vegetable Magnesium Stearate). Take 1 vegicap three times a day, 30 minutes after food or as professionally directed. Not suitable for individuals with cardiovascular or renal diseases. 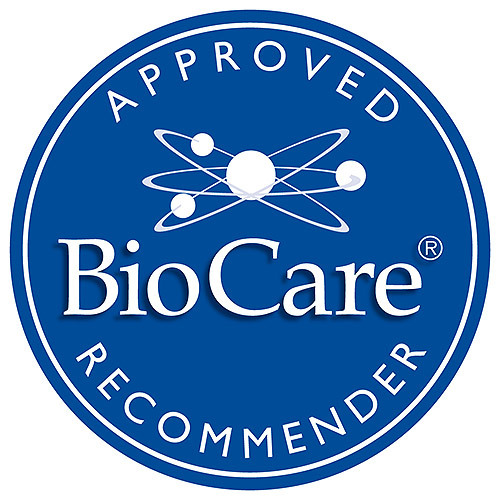 Below are reviews of Bio-Carbonate - Digestive Aid - 90 Vegicaps by bodykind customers. If you have tried this product we'd love to hear what you think so please leave a review. Bio-Carbonate combines Sodium Bicarbonate and Potassium Bicarbonate for digestive support. Carbonates supports the small intestine in maintaining an alkaline pH.